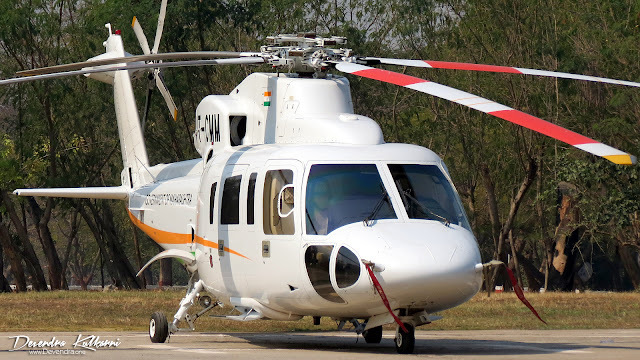 The helicopter which is not only the symbol of luxury but also the state of the art design, power, and performance with great safety. Sikorsky S76 helicopter is the one of the best helicopters in the world with over 850 S76 delivered across the globe with 7 million hours of flight by the fleet world-wide. Manufactured by US based Sikorsky (a Lockheed Martin Company) is one of the iconic helicopter manufacturer in civil as well as military since 1925. This helicopter – S76 can be used for various tasks such as Search & Rescue, Offshore operations, VIP transport as well as Air Ambulance. 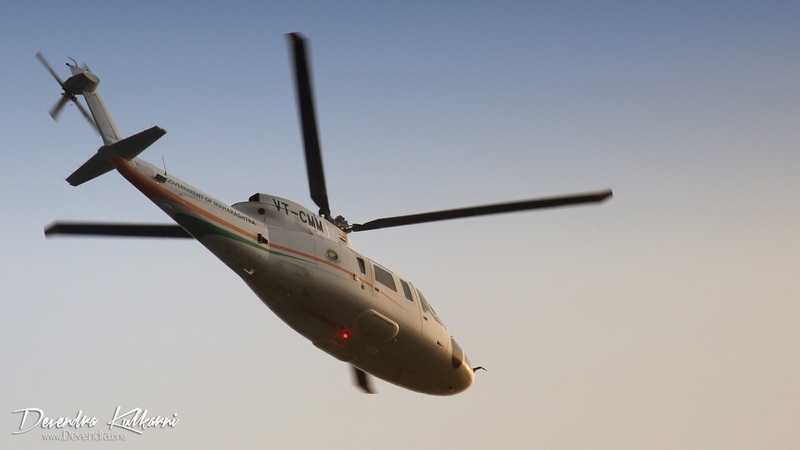 It is operated by more than 130 customers operate S-76 helicopters in a Corporate or VIP role. Ten countries rely on the S-76 for the Head of State mission. 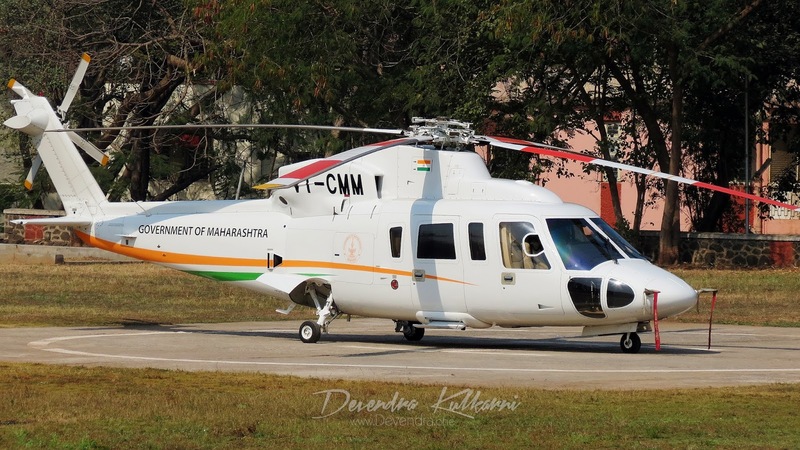 The Sikorsky S76C++, MSN : 760815 - purchased in 2011 for VIP transport of Chief Minister of the Maharashtra State, India. Since then this helicopter is used to transport CM of the state for his visits to various parts of the state. 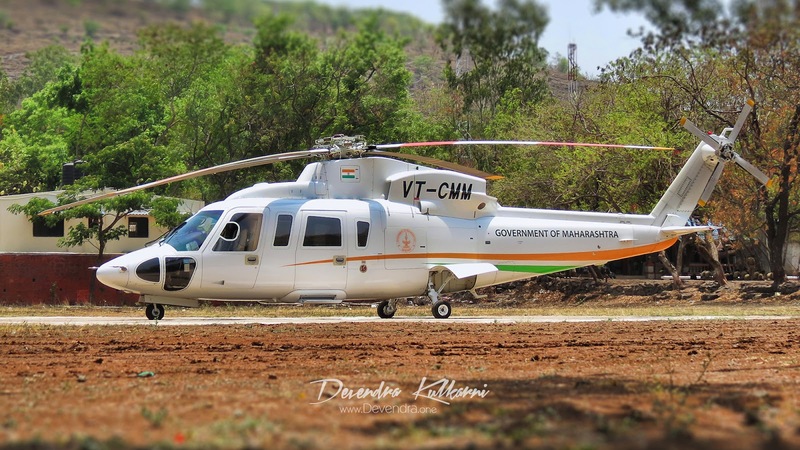 Registered as VT-CMM (Chief Minister of Maharashtra) it is one of the most prestigious helicopter in India. Operated by Directorate of Aviation, Maharashtra state. 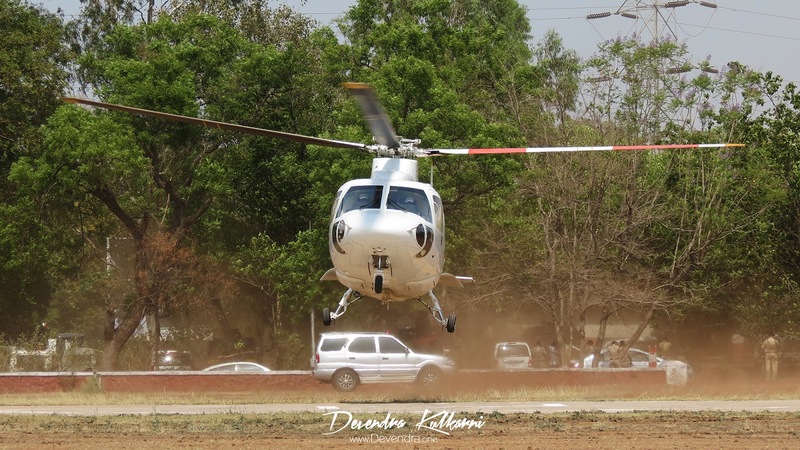 Due to this task it has to land on remote helipads or locations throughout state. 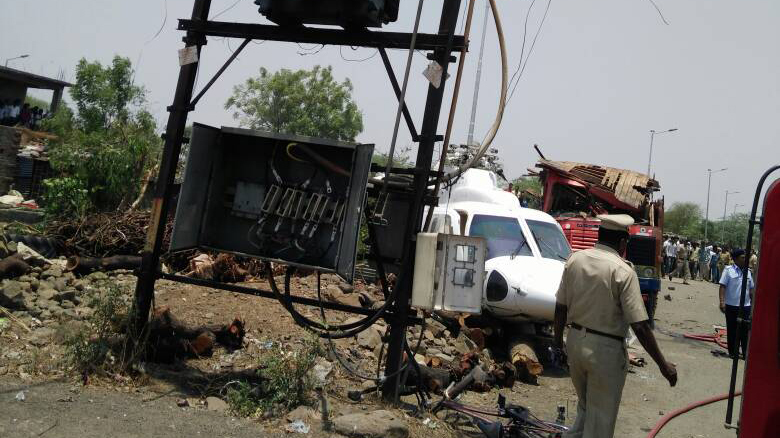 On 25th May 2017, at 12:00PM IST – while taking off from Nilanga, Latur district, Maharashtra after an event the helicopter has got stuck with powerline nearby due to variable wind pattern (as said by the news sources) due to which it is unable to generate lift and has to crash land. 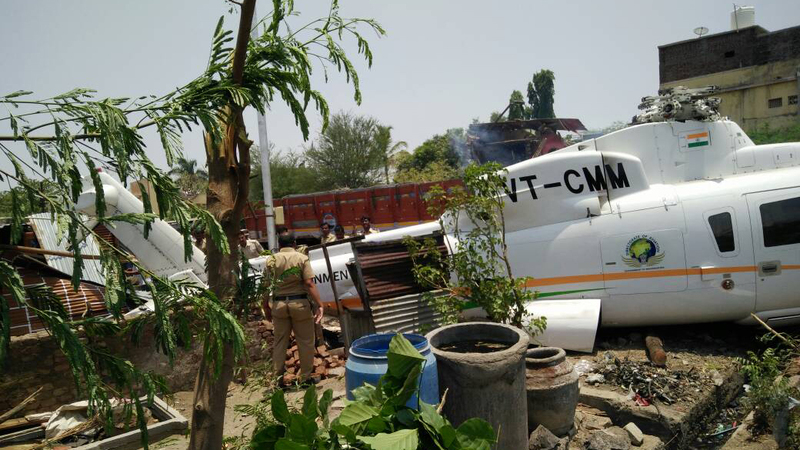 Weather at Nilanga is said to be around 40-41 °C at the time of incident. 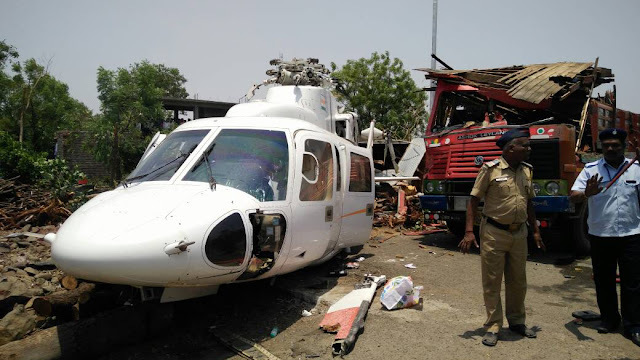 With total of 6 person on board 2 (crew) + 4 (pax) including CM of the state left unhurt of this incident, while helicopter has been damaged including main rotor blades, tail structure, & landing gears as seen in the crash photos. 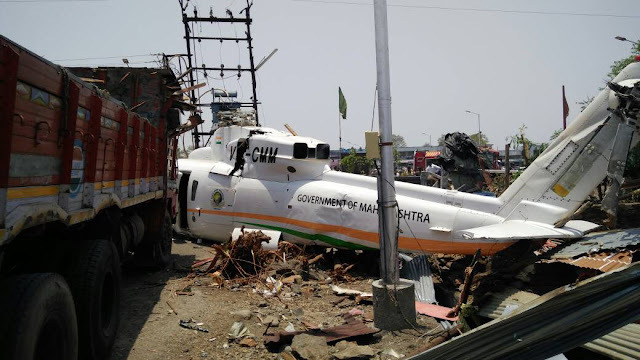 Our helicopter did meet with an accident in Latur but me and my team is absolutely safe and ok.
I’ve been spotting this chopper since 2012 & since then I’ve spotted it over 30 times till 14th May 2017. It is my favourite one. I am also lucky to have chance to see this helicopter in particular up-close. 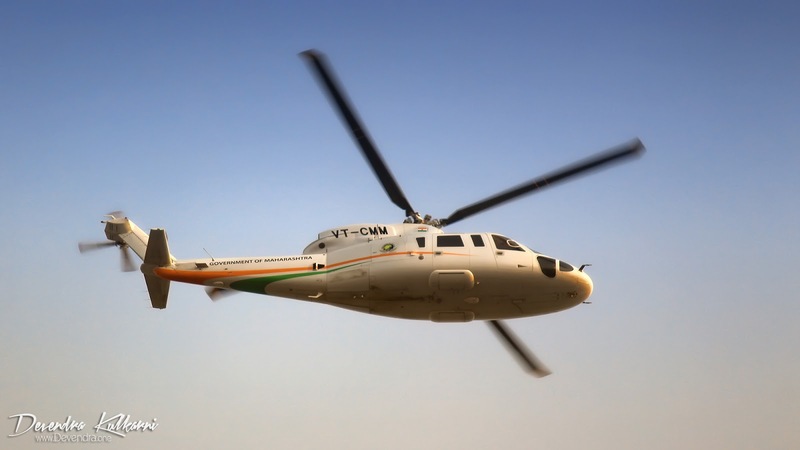 Thanks to my pilot friends who flies for CM who are very friendly and understands the passion for aviation & flying. 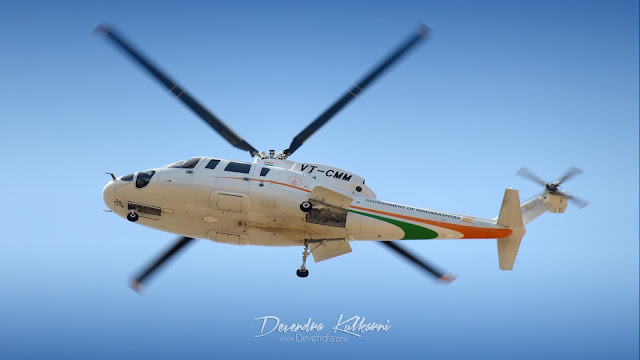 We are those AVgeeks who looked up in sky when we heard aircraft flying over. VT-CMM is 1 of 5 Sikorsky S76 helicopters which operate in India (VT-CMM/DBH/KNH/NIT/NMA) all of them are spotted by me. 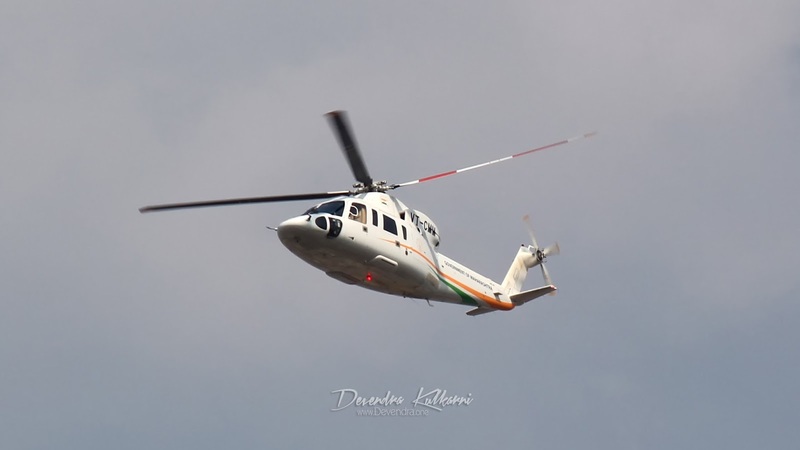 Hope to see this beautiful helicopter back in air soon but unfortunately it can't take charge of the sky as it has suffered damage - Beyond Economic Repair.